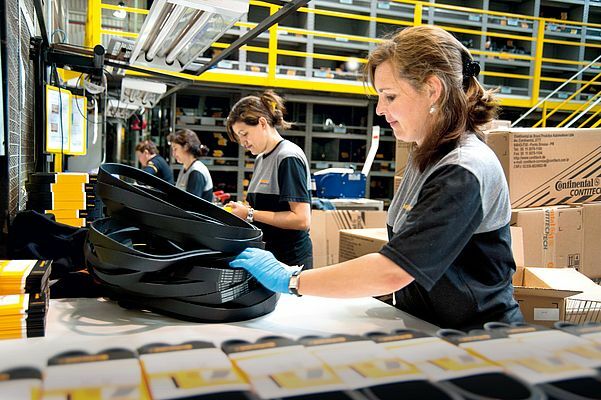 ContiTech will invest 6.2 million euros in the doubling of production capacity for belts at the plant in Ponta Grossa, Brazil. This will provide more space for the manufacture of timing belts for cars and multiple V-ribbed belts used to drive hydraulic power steering and air conditioning units, water pumps and generators. "With the investment we intend to not only up capacities for spare parts but likewise cover the Brazilian auto industry's growing demand," said Konrad Müller, head of the ContiTech Power Transmission Group business unit, at today's formal signing ceremony for the expansion. Ponta Grossa mayor, Pedro Wosgrau Filho, was on hand for the event. The project involves a 2,800-square-meter expansion of the present ContiTech plant. The investment is to be effected in two phases. The first phase comprises the expansion the current physical plant by September 2012. It is expected to up timing belt production by 50 percent and V-ribbed production by 15 percent. In the second phase, new machines will be installed that will make possible a twofold increase in timing belt production and a 25-percent boost in V-ribbed belt production. The related work is to get underway in February 2012. Completion of the second phase is set for 2014. The expansion is to create a further 40 jobs.